Advertising on Bing and/or Yahoo! search engines? You’re using Bing Ads to do so, right? With DashThis, you can see all your Bing Ads data in one perfect dashboard; either on its own, or compared to all your other PPC advertising data! Create your Bing Ads dashboard today! 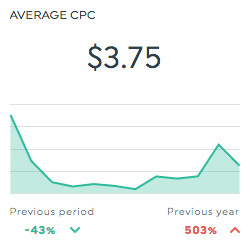 This historic widget shows the average cost of each click on your Bing Ads, which is calculated by dividing the total spent by the total number of clicks. 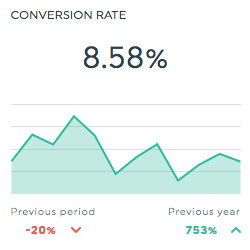 This historic widget shows the percentage of clicks on your Bing Ads that led to a conversion (whatever your definition of conversion may be). This is calculated by dividing the number of conversions by the number of clicks, and multiplying by 100. This historic widget shows how your Bing Ads typically rank against other ads, and therefore, the order in which they will appear on the search page. This list widget shows how many clicks each keyword used for your Bing Ads generates. Want to see all our Bing Ads preset widgets? This is the amount you spent on clicks and impressions for your Bing Ad. This shows the position in which your Bing Ad typically ranks against other ads. 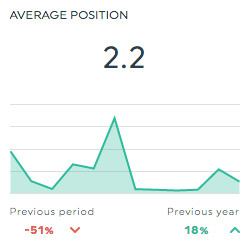 This percentage shows how often people go to your website because they saw your Bing Ad. It is calculated by dividing the number of clicks by the number of impressions and multiplying by 100. This is the total income resulting from your Bing Ads. This is the total number of times people took a desired action after clicking on or seeing your Bing Ad. This is the number of clicks on your Bing Ad. This is the type of device (mobile, desktop, etc.) used to view your Bing Ad. This is the keyword for which your Bing Ad ranks in searches. Want to see all our Bing Ads metrics, segments, & dimensions? How do I create reports and dashboards using Bing Ads?